La Vita E Bella is a painting by Diane Sellers which was uploaded on January 13th, 2010. 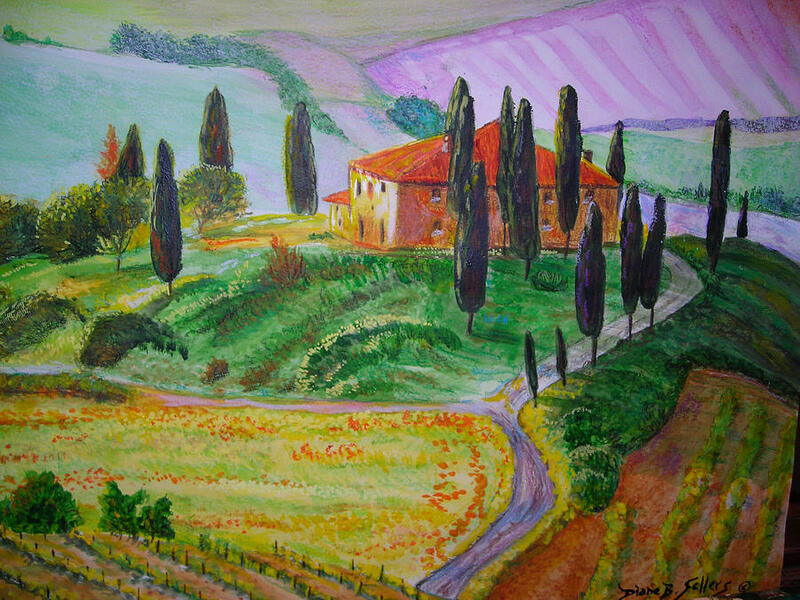 I love Tuscany, Sienna, Umbria, the old farmhouses, vineyards and the whole intoxicating landscape just calls out to be painted,,,what could be better than a siesta behind cool shadowed walls,,,,wine sipped under a vined terrace and grape sweet kisses in the afternoon! There are no comments for La Vita E Bella . Click here to post the first comment.